The Tamil remake of Maheshinte Prathikaaram has now been titled Nimir and also features veteran filmmaker Mahendran in an important role. 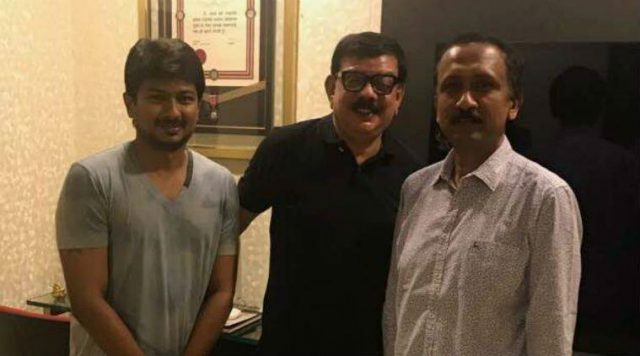 Malayalam super hit film Maheshinte Prathikaaram is being remade in Tamil with Udhayanidhi Stalin in the lead role. The remake is being directed by Malayalam director Priyadarshan which now gets a title. The Tamil remake of Maheshinte Prathikaaram has now been titled Nimir and interesting thing about the remake is that it also features veteran filmmaker Mahendran in an important role. Speaking to a leading daily, Priyadarshan revealed details about the remake and why veteran filmmaker Mahendran was roped in the film. “I am a great fan of veteran filmmaker Mahendran, who is doing a pivotal role in Nimir. I have watched all his films like Uthiri Pookal and back then I wanted to join him as an assistant, but unfortunately I could not. I am happy that I could get him on board to play the role of Udhay’s dad. He is a photographer in the movie who is also a dreamer (smiles). I asked him to suggest a title and he immediately said ‘Nimir’, which goes well with the theme of the film,” a report in DC quoted Priyadarashan.